For instance, apart from remarking that the Persian Empire banned abortion, Justice Blackmun’s survey of the ancient world was limited to Greece and Rome. Yet, numerous other sources indicate that abortion was condemned in the twelfth century B.C. 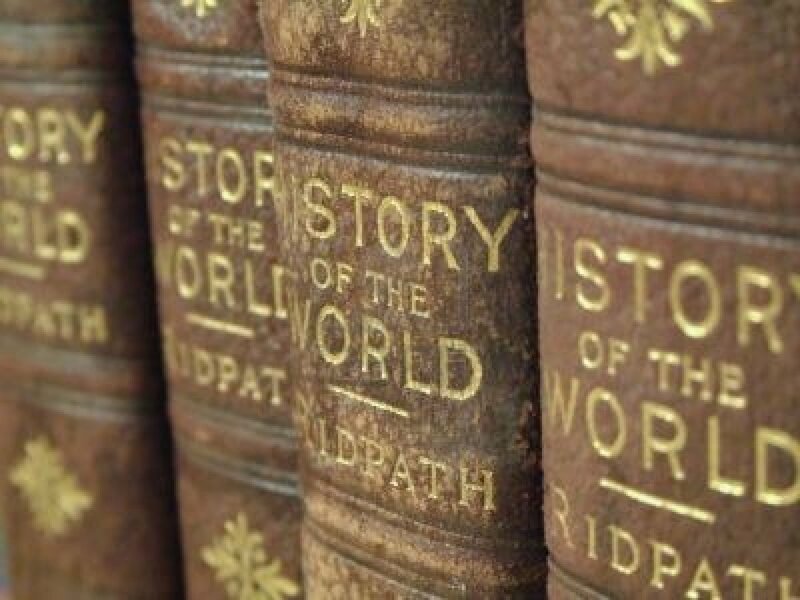 by Assyrians, Hittites, early Hindus, Buddhists of India, and Indian law; and there is some evidence that the ancient Egyptians took a similar attitude. This information was included in the works of Eugene Quay, who Blackmun cited, but failed to incorporate into his opinion. Despite the availability of other historical sources, Justice Blackmun left a gap of more than a thousand years in his survey of history, jumping from his discussion of ancient attitudes straight to Anglo-American common-law; during this thousand year period, history tells us that the majority of the world opposed abortion. The Court also claimed that prior to quickening abortion was not indictable offense under law again relying on means his article. However, English common law clearly prohibited abortion and the American colonies adopted this common law. Another part of this “historical survey” involved the legislative history of the Texas abortion law and others like it. 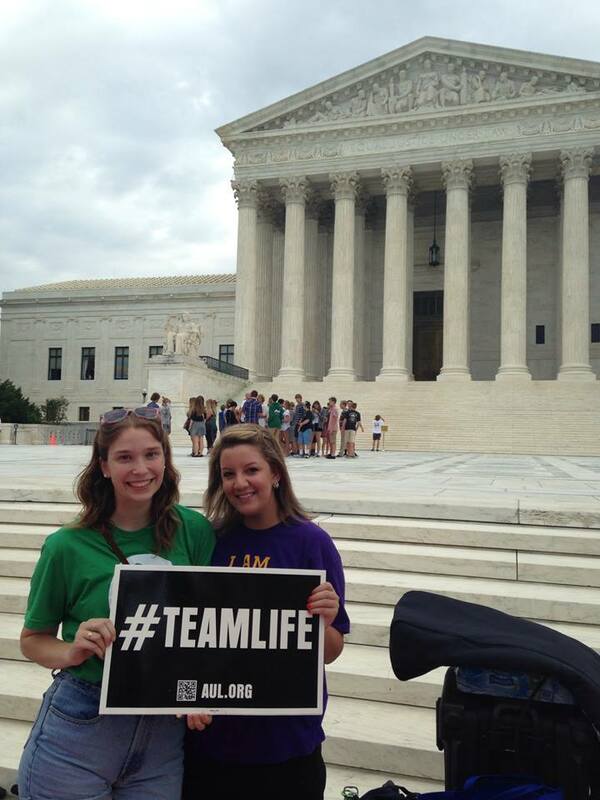 This legislative history was later the foundation for the court’s decision regarding personhood of the unborn child. Up until the 1960s, all but a few of the 50 states prohibited abortion except when it was necessary to save the life of the mother. These abortion laws were enforced, updated and strengthened during the nineteenth century as medical understanding progressed. In the oral arguments, Roe’s lawyers argued that most state laws against abortion were implemented solely to protect the woman. This could not be further from the truth. In fact, Justice Blackmun acknowledged that it was the attitude of the medical profession that played a significant role in the enactment of the stringent criminal abortion legislation of the late 1800s, and even quoted the American Medical Association’s 1857 report on criminal abortion., in which the AMA called abortion an” unwarrantable destruction of human life,” and called to upon state legislatures to revise their abortion laws and encouraged state medical societies to press the subject. Clearly, the historical research on which Justice Blackmun relied was at best biased and incomplete, and at worst was a complete revisionist history concocted with the sole purpose of justifying the abortion decision. Means’ two history articles were funded by the pro-abortion advocacy group, Association for the Study of Part II: Abortion (ASA). See JOSEPH DELLAPENNA, “Dispelling the Myths of Abortion History” (2006) note 40 at 14, 143-44, 1004. Justice Blackmun cited Means‘ two articles a total of seven times, and no other source on the history of abortion more than once. See Roe, 410 U.S. at 136-52, 158 n.54. See JOSEPH DELLAPENNA, DISPELLING THE MYTHS OF ABORTION HISTORY (2006); Robert Byrn, An American Tragedy: The Supreme Court on Abortion, 41 FORDHAM L. REV. 807 (1973); Robert Destro, Abortion and the Constitution: The Need for a Life-Protective Amendment, 63 CAL. L. REV. 1250 (1975); James Witherspoon, Reexamining Roe: Nineteenth Century Abortion Statutes and the Fourteenth Amendment, 17 ST. MARY‘S L.J. 29 (1985); Paul Benjamin Linton, Planned Parenthood v. Casey: The Flight From Reason in the Supreme Court, 13 ST. LOUIS U. PUB. L. REV. 15, 107-31 (1993) (This article, among other things, compiles 64 cases from 40 states demonstrating that the purpose of the nineteenth century state abortion prohibitions was to protect the life of the unborn child); Clarke D. Forsythe, Homicide of the Unborn Child: The Born Alive Rule and Other Legal Anachronisms, 21 VAL. U.L. REV. 563 (1987). see a Dennis J. Horan and Thomas J Balch, Roe v. Wade: No justification in History, Law, or Logic, in Abortion and the Constitution: Reversing Roe v. Wade Through the Court, note 24 at 62. Quay, Justifiable Abortion – Medical and Legal foundations, (pt. 2) , 49 Geo. L. J. 395 (1961), cited in Roe v. Wade, 410 U.S. 130 n.9. See Dennis J. Horan & Thomas J. Balch, Roe v. Wade: No Justification in History, Law, or Logic, in ABORTION AND THE CONSTITUTION, supra note 44 at 67. John Keown, Abortion Distortion: A Review of Dispelling the Myths of Abortion History, 35 J.L. MED. & ETHICS 325 (2007). Linton, “Enforcement of State Abortion Statutes after Roe,” at 159–161. Forsythe, Clarke D. (2013-09-24). Abuse of Discretion: The Inside Story of Roe v. Wade, at. 360. Encounter Books. Kindle Edition. Planned Parenthood v. Danforth (1976) – The Court upheld part of a state statute requiring a woman to give written consent prior to undergoing an abortion, but struck down spousal and parental consent requirements. Bellotti v. Baird (1976) – The Court this time upheld the requirement that a minor seeking an abortion must obtain parental consent, provided that there is the option for a “judicial bypass” whereby the minor can obtain consent from a judge if necessary. Harris v. McRae (1980) – The Court upheld the Hyde Amendment, which forbade federal funding of abortions. The Court reasoned in this case that abortion was not a fundamental right. City of Akron v Akron Center for Reproductive Health, Inc. (1983) – The Court struck down a 24 hour waiting period between the time a woman seeking an abortion received counseling, and when she could undergo the abortion procedure. Thornburg v. American College of Obstetricians and Gynecologists (1986) – The Court struck down a number of state regulations, including informed consent requirements, reporting requirements for abortion clinics, and regulations on the medical aspects of the abortion procedure. Though the majority referred to “a woman’s right to make that choice [abortion] freely [as] fundamental,” they did not apply strict scrutiny in their rationale. Rust v. Sullivan (1991) – The Court upheld federal finding regulations that restricted federal funding from be awarded to family planning clinics that counseled for, or performed abortions. The Court relied on Harris in its decision. As demonstrated by these sometimes contradictory rulings, the Court seemed unsure of how to apply its own rule from Roe. For example, while Thornburg called abortion a “fundamental right,” the Court chose not to apply a strict scrutiny standard of review in the case. Likewise in Bellotti and Harris, the Court referred only to an “undue burden” or “unduly burdensome” analysis. The confusion over abortion law, as seen in the decisions listed above, intensified the national debate over the issue. In 1992, many believed that the Court was poised to overturn Roe, but instead, in Planned Parenthood v. Casey the Court decided to take a much narrower approach to redefining abortion jurisprudence. [F]or two decades of economic and social developments, people have organized intimate relationships and made choices that define their views of themselves and their places in society, in reliance on the availability of abortion in the event that contraception should fail. The ability of women to participate equally in the economic and social life of the Nation has been facilitated by their ability to control their reproductive lives. In my history book, the Court was covered with dishonor and deprived of legitimacy by Dred Scott v. Sandford, an erroneous (and widely opposed) opinion that it did not abandon, rather than by West Coast Hotel Co. v. Parrish, which produced the famous “switch in time” from the Court’s erroneous (and widely opposed) constitutional opposition to the social measures of the New Deal. The joint opinion’s assertion of this fact is undeveloped and totally conclusory. In fact, one cannot be sure to what economic and social developments the opinion is referring. Surely it is dubious to suggest that women have reached their ‘places in society’ in reliance upon Roe, rather than as a result of their determination to obtain higher education and compete with men in the job market, and of society’s increasing recognition of their ability to fill positions that were previously thought to be reserved only for men… The “separate but equal” doctrine lasted 58 years after Plessy, and Lochner’s protection of contractual freedom lasted 32 years. However, the simple fact that a generation or more had grown used to these major decisions did not prevent the Court from correcting its errors in those cases, nor should it prevent us from correctly interpreting the Constitution here. Despite these harsh criticisms from their fellow justices, the plurality still chose to interpret stare decisis in a way that prevented them from overturning Roe. However, while the plurality claimed to be reaffirming the central holding of Roe they made significant changes to the Court’s existing abortion doctrine. But what exactly is “undue”? Under this standard, the Casey Court upheld informed consent, a 24 hour waiting period, reporting requirements for abortion facilities, parental consent (with judicial bypass), and a definition of “medical emergency” related to abortion; the only Casey requirement struck down was spousal consent. But it is only contextually through cases that we can truly determine which burdens the Court believes are “undue’, as the guideline is difficult to interpret in a vacuum. Justice Scalia has long been a critic of the “undue burden” standard, arguing that it places the Court in the inappropriate position of making legislative decisions regarding abortion legislation that are not guided by the Constitution, but rather are guided by the personal opinions and feelings of the individual Justices. Another major change the plurality made to Roe was to abandon the trimester framework set down in Roe, and focus solely on viability as the “compelling point.” In their reasoning, the plurality claimed that “there is no line other than viability which is more workable” as a compelling point for state’s interest to take hold. The plurality also justified viability by arguing that there is an “element of fairness” in choosing it, because “in some broad sense it might be said that a woman who fails to act before viability has consented to the State’s intervention on behalf of the developing child.” At this time the Court also recognized that medical technology had advanced to the point that viability was now generally accepted to be at approximately 21 weeks post-fertilization. Finally, the plurality says that “the trimester framework… [did] not fulfill Roe’s own promise that the State has an interest in protecting fetal life or potential life. Justice Kennedy, writing for the plurality, spends a considerable amount of time and space explaining the importance of the State’s “profound interest in potential human life.” This is an argument Justice Kennedy would continue to defend eloquently in abortion subsequent cases. In the opinion of the dissenters, Chief Justice Rehnquist, Justice White, Justice Scalia, and Justice Thomas, the state’s interest in protecting fetal life is profound enough to require that Roe be overturned in its entirety, so that states were free to ban abortion as they saw fit. [T]he abortionist initiates the woman’s natural delivery process by causing the cervix of the woman to be dilated, sometimes over a sequence of days. The fetus’ arms and legs are delivered outside the uterus while the fetus is alive; witnesses to the procedure report seeing the body of the fetus moving outside the woman’s body. At this point, the abortion procedure has the appearance of a live birth. As stated by one group of physicians, “as the physician manually performs breech extraction of the body of a live fetus, excepting the head, she continues in the apparent role of an obstetrician delivering a child.” With only the head of the fetus remaining in utero, the abortionist tears open the skull. According to Dr. Martin Haskell, a leading proponent of the procedure, the appropriate instrument to be used at this stage of the abortion is a pair of scissors. Witnesses report observing the portion of the fetus outside the woman, react to the skull penetration. The abortionist then inserts a suction tube and vacuums out the developing brain and other matter found within the skull. The process of making the size of the fetus’ head smaller is given the clinically neutral term “reduction procedure.” Brain death does not occur until after the skull invasion, and, according to Dr. Carhart, the heart of the fetus may continue to beat for minutes after the contents of the skull are vacuumed out. The abortionist next completes the delivery of a dead fetus, intact except for the damage to the head and the missing contents of the skull. Despite these grisly facts, the Court voted 5-4 that Nebraska’s Partial-Birth Abortion Ban was unconstitutionally vague because it did not adequately differentiate Partial-Birth Abortion from method, as well as finding that it violated the “undue burden” standard because it lacked a Roe style health exception. A moral, medical, and ethical consensus exists that the practice of performing a partial-birth abortion…is a gruesome and inhumane procedure that is never medically necessary and should be prohibited. [Partial-Birth Abortion is] unnecessary to preserve the health of the mother, [and] in fact poses serious risks to the long-term health of women and in some circumstances, their lives. A prominent medical association has concluded that partial-birth abortion is ‘not an accepted medical practice’…The association has further noted that partial-birth abortion is broadly disfavored by both medical experts and the public, is ‘ethically wrong,’ and ‘is never the only appropriate procedure’. It is a medical fact…that unborn infants at this stage can feel pain when subjected to painful stimuli and that their perception of this pain is even more intense than that of newborn infants and older children when subjected to the same stimuli. 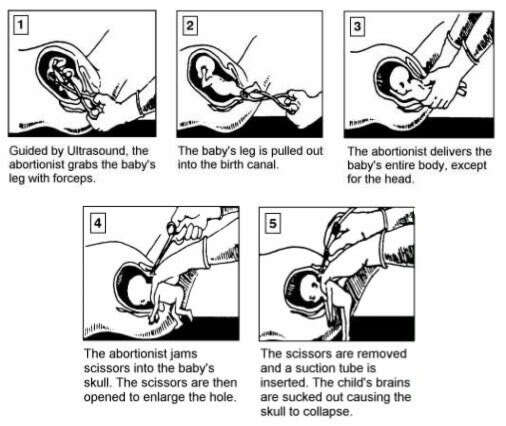 Thus, during a partial-birth abortion procedure, the child will fully experience the pain associated with piercing his or her skull and sucking out his or her brain. In light of this overwhelming evidence, Congress and the States have a compelling interest in prohibiting partial-birth abortions. In addition to promoting maternal health, such a prohibition will draw a bright line that clearly distinguishes abortion and infanticide, that preserves the integrity of the medical profession, and promotes respect for human life. Congress, hoping to avoid the impermissibly broad reading the Court used to strike down Nebraska’s Partial-Birth Abortion Ban, carefully crafted the descriptive language of the procedure. However, as seen in the Congressional findings listed above, Congress adamantly stuck by their belief that Partial-Birth Abortion was never medically necessary, and as such, did not include any language regarding a health exception to the ban. See e.g., Poe v. Gerstein, 517 F.2d 787, 789 (5th Cir. 1975); Friendship Medical Center v. Chicago Board of Health, 505 F.2d 1141, 1148 (7th Cir. 1974); Word v. Poelker, 495 F.2d 1349 (8th Cir. 1974). Connecticut v. Menillo, 423 U.S. 9, 10 (1975). Planned Parenthood v. Danforth, 428 U.S. 52 (1976). Bellotti v. Baird, 428 U.S. 132 (1976). City of Akron v Akron Center for Reproductive Health, Inc., 462 U.S. 416 (1983). Thornburg v. American College of Obstetricians and Gynecologists, 476 U.S. 747 (1986). Rust v. Sullivan, 500 U.S. 173 (1991). Id., at 998 (Scalia, J., dissenting). Id., at 956-7 (Rehnquist, C. J., dissenting). Supreme Court Justice Antonin Scalia, Remarks to Baton Rouge Federalist Society (October 11, 2013). Casey, 505 U.S. at 870. Id., at 860 (23 weeks LMP). Stenberg v. Carhart, 530 U.S. 914 (2000). Kansas v. Hendricks, 521 U.S. 346 (1997). Stenberg, 530 U.S at 797. Id., at 953; Korematsu v. United States, 323 U.S. 214 (1944) (Upholding the constitutionality of the military imprisonment of thousands of American citizens of Japanese descent , in internment camps during World War II); Dred Scott v. Sandford, 60 U.S. 393 (1857)(Holding that an African American slave is not a “person” under the U.S. Constitution; and was therefore the property of the slave owner). Partial-Birth Abortion Ban Act of 2003, 18 U.S.C. § 1531 (2004). See 18 U.S.C. § 1531 (note following) (congressional findings for Pub. L. No. 108-105, §2, Nov. 5, 2003, 117 Stat. 1201). Gonzales, 550 U.S. at 160. Id., at 163 (emphasis added). Katia Desrouleaux, Banning Partial-Birth Abortion at All Costs–Gonzales v. Carhart: Three Decades of Supreme Court Precedent “Down the Drain”, 35 S.U. L. Rev. 543, 553 (2008); Jason Pill, Constitutional Law: Drawing A New Critical Line Between the State’s Competing Interests in Abortion Regulation to Comport with Social Palpability Gonazales v. Carhart, 127 S. Ct. 1610 (2007), 19 U. Fla. J.L. & Pub. Pol’y 369, 378 (2008). The Supreme Court’s decisions in Roe v Wade and Doe v Bolton are frequently included on lists of the most controversial cases the Court has ever decided, and critics on both sides of the abortion debate have expressed themselves as unhappy with the reasoning employed by the Court. But what the Court actually decided in these two controversial cases is often overlooked in the larger debate. Roe and Doe were decided on the same day, and were meant to be companion cases that were read together. In Roe, the Court struck down a Texas Statute prohibiting abortion except when the mother’s life was in danger, ruling that the “right to privacy” in the penumbras of the Constitution included a woman’s right to decide “whether or not to terminate her pregnancy.” However, the Court went on to hold that this “right is not unqualified and must be considered against important state interests.” According to the Court, there were only two state interests in regards to regulating abortion: the state’s interest in preserving the health and safety of the mother, maintaining appropriate medical standards, and protecting the “potential life” of the fetus. In an attempt to balance these state interests with the newly found right to choose abortion, the Court constructed an elaborate trimester framework that dictated when the state was allowed to regulate abortion. The Court recognized that while these interests existed from the outset of pregnancy, that at some point during the pregnancy these interests became “compelling” enough to sustain regulation of abortion. The Court in Roe decided that this “compelling point” for the State’s interest in preserving fetal life was at viability (which the Court placed around 26 weeks post-fertilization), the point at which the fetus has the capacity for “meaningful life outside the womb.” After this point, States could justify their regulation and even prohibition of abortion based on their interest in preserving fetal life. Many abortion supporters, including elected officials and leaders of pro-abortion organizations, will tell you that the Supreme Court declared abortion a fundamental right in Roe v Wade. But this simply isn’t true. In fact, no majority opinion by the Supreme Court has ever declared abortion a fundamental right. In constitutional law, there are three levels of judicial scrutiny the Court will use when deciding cases, these levels are: (1) Strict Scrutiny, (2) Intermediate Scrutiny, and (3) Rational Basis. When a fundamental right is at issue in a case, the Court will use the highest level of scrutiny, Strict Scrutiny. Under Strict Scrutiny, the Court presumes the policy to be invalid unless the government can demonstrate a compelling interest to justify the policy. While much of the language used in Roe tended to imply Strict Scrutiny, the Court did not actually declare the right fundamental, and subsequent cases prove this. Though other cases will be discussed in detail later in the series, it is necessary to point out that in Planned Parenthood v Casey, the Court proved that abortion is not a fundamental right by adopting an Intermediate Scrutiny approach known as “Undue Burden.” Instead of the government having to prove a “compelling interest”, the burden of proof is placed on the opponent of the law, to show that the law places an Undue Burden on a woman seeking an abortion. Clearly, this is not Strict Scrutiny; since that is the level used when looking at fundamental rights, this shows that abortion is NOT a fundamental right. 2. Roe legalized abortion only in the first three months. The actual ruling in Roe split the ability of governments to regulate abortion into three categories, based on the medical classification of trimesters. Under this trimester framework, the Court banned any regulations during the first trimester, allowed minimal regulations in the second, and allowed most regulations in the third. The Court actually legalized all abortions prior to viability, which it placed at about 28 weeks, which is about 7 months. As mentioned earlier however, both Roe and the companion case Doe, even AFTER viability has passed, there must be a “health exception” that allows the mother to abort for any of the reasons listed previously (fiscal, mental, familial, and personal health). The person who decides whether a woman meets the health exception is the abortionist, creating the possibility that a woman can get an abortion at any point prior to birth (even the day before delivery) as long as she can find an abortionist willing to perform it. 3. Overturning Roe will put women in jail. Another common myth is that women would be thrown in jail for getting an abortion if Roe was overturned. Roe’s core holding is that abortion cannot be banned by the state, so overturning it wouldn’t result in a nation-wide ban on abortion. In order for this to happen, the Court would have to go a step further and hold that the preborn are “persons” under the 14th Amendment, and therefore abortion is a violation of the Due Process Clause. Unless the Supreme Court did this in addition to overturning Roe, abortion would remain legal unless a state chose to expressly ban it. While it is true that some states, like Louisiana, have trigger laws that would automatically ban abortion if Roe is overturned, most of them do not. The reality of a post-Roe America would most likely mirror the level of regulations that exist in the present day- conservative states with many current regulations might chose to ban abortion, more liberal states would leave their regulations the same and still allow abortions to continue as before. Even in those states that banned abortion, it would be very unlikely that women would be sent to jail for getting an abortion. Looking back pre-Roe, when most states banned abortion, there are only two known cases in which a woman was charged in any State with participating in her own abortion: Pennsylvania in 1911 and Texas in 1922. 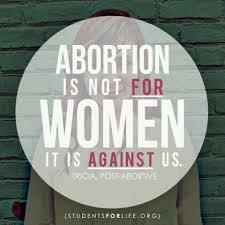 There is no documented case since 1922 in which a woman has been charged in an abortion in the United States. In reality, the woman was typically treated as a second victim of abortion, the real target of these laws was the abortionist. Prosecuting a woman as an accomplice to the abortionist raised serious evidentiary problems that made it counterproductive- the testimony of an accomplice alone is not enough to meet the burden of proof in a criminal case, and the accomplice’s testimony must be corroborated by another source. It was difficult to prosecute abortionists under this requirement, and in order to convince women to testify against the abortionist, prosecutors had to promise them that they wouldn’t be charged for admitting to an abortion. Roe v. Wade, 410 U.S. 113, 154 (1973). See, e.g., Laurence H. Tribe, The Supreme Court, 1972 Term—Foreword: Toward a Model of Roles in the Due Process of Life and Law, 87 HARV. L. REV. 1, 7 (1973); Benjamin Wittes, Letting Go of Roe, THE ATLANTIC MONTHLY, Jan/Feb 2005); John Hart Ely, The Wages of Crying Wolf: A Comment on Roe v. Wade, 82 YALE L.J. 920, 935-37 (1973). Id., at 160 (28 weeks LMP). Doe, 410 U.S. at 180. Doe, 410 US at 192. Doe, 410 US at 221. Few issues in American history have been a divisive as that of abortion. Despite the Supreme Court’s ruling in Roe v Wade, the issue has not gone away, but has only grown more public and more fractured over time. Both proponents and opponents of abortion have been severely critical of the Court’s decision in Roe v. Wade, in fact, between 1973 and 2003, approximately 330 constitutional amendments regarding abortion were introduced in the United States Congress, and every year hundreds of bills are passed at the local and state level challenging its core holding- that women have a right to terminate their pregnancies through abortion. This summer, our nation was reminded once again, of how deep the division on this issue goes, as thousands of abortions supporters and opponents converged on Austin, Texas. Clad in orange and blue, men and women came in droves, to voice their opinion on a deeply important issue in today’s culture- what are the respective legal rights of preborn children and the mothers that carry them? This series of blog posts will attempt to answer that question. Part 1 will briefly outline the decision in Roe, and will address many of the misconceptions regarding the case. Part 2 will look at the subsequent case law on abortion, from Roe through the Carhart cases. Part 3 will look at the historical inaccuracies on which Roe was based. Part 4 looks at the Court’s analysis of the legal concept of personhood. Part 5 looks at “health” exception in Roe (and subsequent cases) and whether the data supports abortion as beneficial for women’s health. Part 6 proposes a new framework for considering the question of abortion and concludes by calling for the overturning of Roe v. Wade, and a declaration of protection for preborn humans. See the full list provided by the National Committee for a Human Life Amendment at http://www.nchla.org/issues.asp?ID=46.